Fantasy sports have grown immensely in their popularity. There are many reasons for this, but the biggest is that they are now more widely available and more appealing than ever before. Back in the pre-internet days, fantasy sports–mostly baseball–existed, but they were cumbersome and scoring had to be done by hand. It was something reserved solely for die hard fans, and it involved a big time commitment if you wanted to be successful. Those that wanted to do better than their friends had to dig deep when it came to studying statistics and figuring out how to identify trends and projections for the rest of the season. These things are all automated for us now. The internet brings everything to our computer or phones, so all we need to do is find the right site and click a few buttons. Stats are updated in real time, and there are tons of fantasy sites out there that have information, general leagues open to the public, and there are even many variations of fantasy play out there. 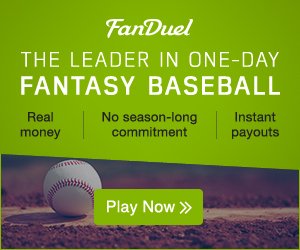 The biggest newcomer is the daily fantasy league, which is basically a micro version of a season long fantasy league. Here, you are given a salary, and then draft a team for just a single night of play. This is applicable for just as many sports as the regular season leagues allow, but there’s little time commitment, less effort on your part, and those that are talented at it can stretch out their winnings in a big way over the course of a season. Fantasy sports exist for baseball, the NFL, NBA, MMA/UFC, professional golf, college basketball and football, NASCAR, and a handful of other sports. It was just a matter of time before the season long aspect was seen as a deterrent to many and sites figured out how to break things down so that you could play for a day or two at a time, whenever you felt like it. Some sites even have free leagues for their daily contests, just like what exists with most public entry season long fantasy sites It’s genius, really, but to be successful, you need to play in a large sample size and have a sound strategy. Daily leagues require more than just knowledge of the sport, but rather a good mathematical approach to drafting a good team and figuring out success rates. Most people will need to play a few times before they pick up on the intricacies of daily sports, and having a solid grasp on season long play is not a prerequisite to being successful here. In fact, some people that are very set in the season long mindset will struggle for a bit in the abbreviated version of the game. Sports fans often find that fantasy games make their favorite sport even more entertaining for them. It gives them more motivation to follow their team and others in the league, and it gives them a more vested interest in watching games. It also increases your understanding of the tasks a general manager will find themselves up against on a daily basis, which is a cool aspect of fantasy leagues for those that have dreamt of a career in sports management. If you’ve never played in a league before, daily fantasy sports are a good place to start, and you can work your way up if you find that you really are enjoying yourself.